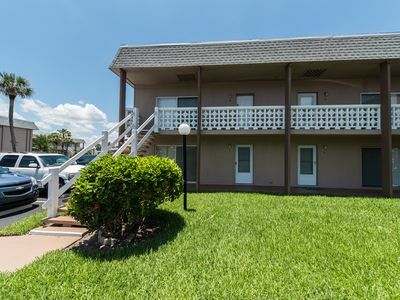 Get your family and friends together and retreat to this 2-bedroom, 2.5-bathroom Cape Canaveral vacation rental townhouse that comfortably sleeps 6. 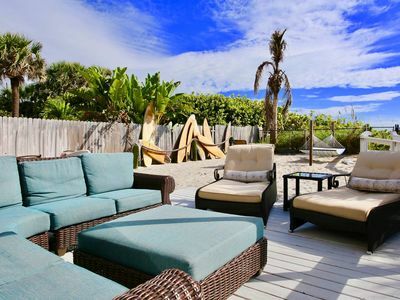 Located only 1 block from the beach and within minutes of the area's most famous attractions including the Kennedy Space Center and Cocoa Beach, this fantastic property will serve as the ultimate home base for your upcoming oceanside getaway! 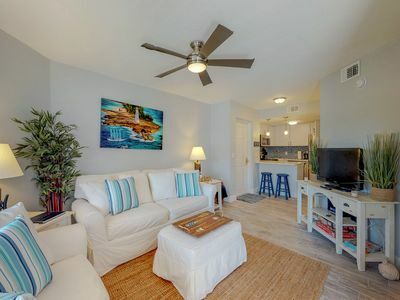 With 1,500 square feet of well-appointed living space, this breezy townhome is an ideal size and layout for a family or group of friends traveling together. 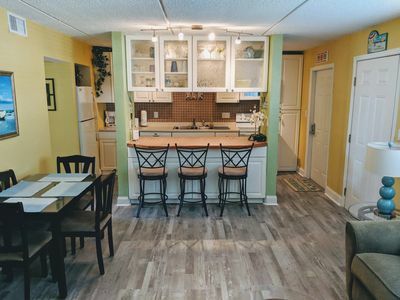 You'll find the unit's newly upgraded interior open and inviting, boasting 9-foot ceilings, wood and tile flooring, and granite countertops throughout. 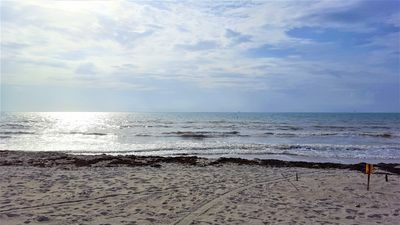 After an exciting day on the water, rinse off the sand in the outdoor shower, before unwinding in the home's bright living room, where you can watch your favorite movie on the Smart TV with cable and DVD player, or surf the web via the wireless internet for entertainment - you can even cozy up by the fireplace on cooler evenings! There's also a Bluetooth soundbar, Smart TV in the master bedroom, and a TV with DVD player in the guest room to satisfy your entertainment needs. 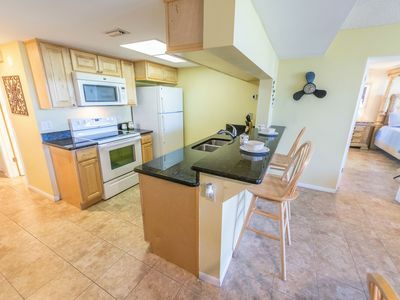 When you're not out enjoying succulent seafood at one of the area's fine local restaurants, prepare your favorite recipe in the fully equipped kitchen, complete with stainless steel appliances and all the necessary cooking tools. 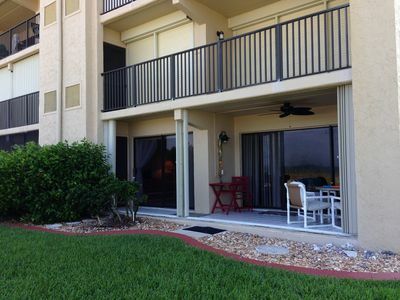 Later, step outside to one of the 3 private patios with a tropical cocktail and socialize with your travel companions. 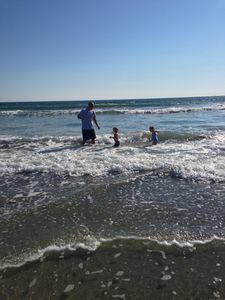 All the other amenities you need in your quintessential Oceanside escape are here, including air conditioning, in-unit laundry machines, ample parking, and 2 baby gates and a bed rail for the littlest guests. 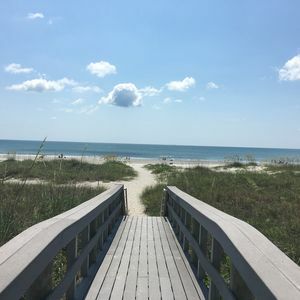 Plus, you'll have plenty beach gear for your days in the sand and surf, such as 2 beach chairs, 6 beach towels, and a cooler! 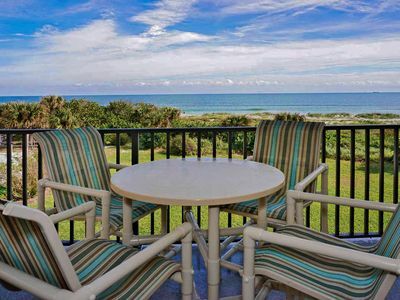 Just steps outside the townhome's front door is an oceanfront oasis! 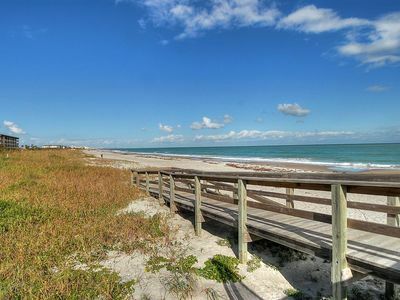 From here, you'll be a mere 1 block from Florida's beautiful east coast beach, so it's likely you'll spend most days sunbathing, swimming, boating, or deep sea fishing. 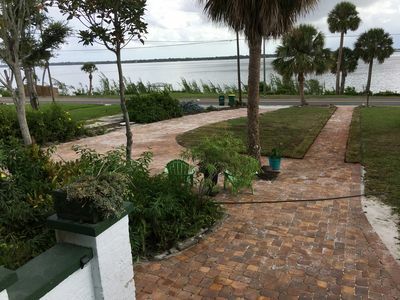 For more outdoor activity, hop on one of the river and ocean cruises that depart 5 minutes away, or enjoy a round of golf at the numerous pristine golf courses within 10 minutes of the house. 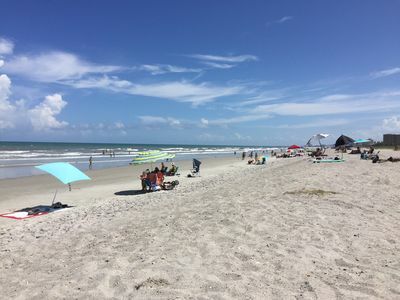 Some of the area's best attractions can be reached in only 5 minutes, such as the Kennedy Space Center, Cocoa Beach Pier, and Ron Jons Surf Shop, as well as the Port Canaveral Cruise Terminals. 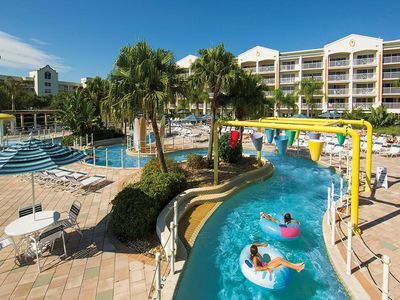 Should you feel like venturing farther from the property, drive 1 hour to reach Disney World, Universal Studios, and Seaworld. 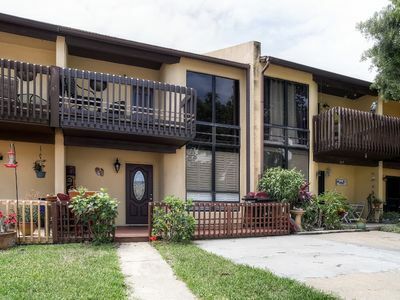 This property is also conveniently located within 3 blocks of the community's Park-Library-and-Recreation Center. 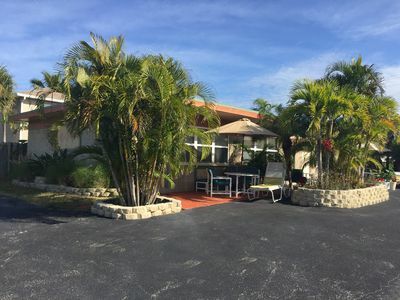 Whether this is your first retreat to Florida's east coast or the continuation of an annual tradition, this fantastic Cape Canaveral vacation rental home will quickly become a place you want to return year after year! - All beach gear provided - 2 beach chairs, 6 beach towels, a cooler, and more! 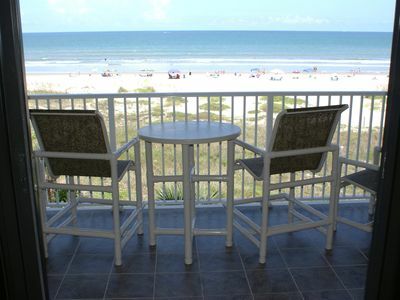 - Within 5 minutes of Cocoa Beach, Kennedy Space Center, Ron Jons Surf Shop and so many other attractions! 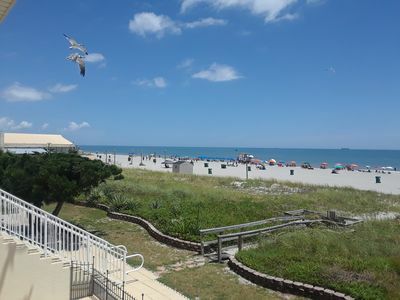 Direct Oceanfront Corner Unit with Great Views at Cape Winds! 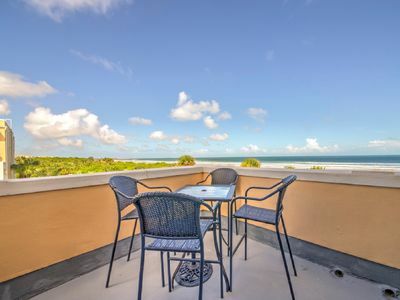 Penthouse Beach Front Newly Renovated With Beautiful Panoramic Views! 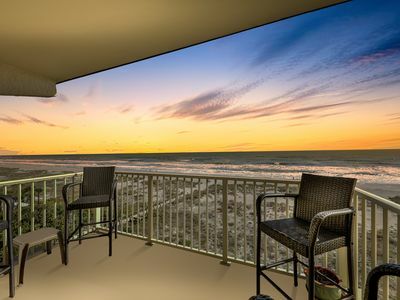 Bright DIRECT Oceanfront Corner Condo. On the Beach! Amazing Views! 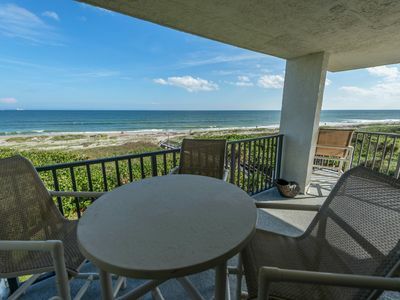 Oceanfront corner condo w/ spectacular views, balcony & direct beach access!